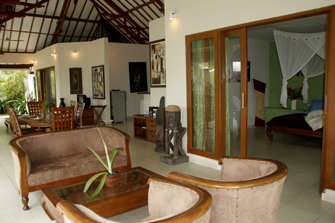 Located in Umalas this is villa for rent has 2 bedrooms which are fully furnished and a private swimming pool. 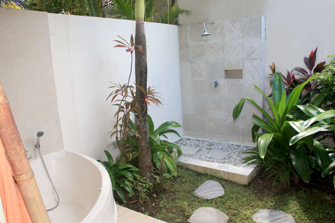 The house offers excellent compromise between the rice field, the beach and thebusy center. 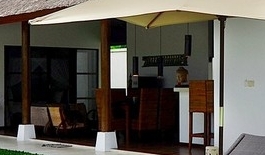 Affordable tropical property designs for people who want to spendrelaxing and calm holidays in. 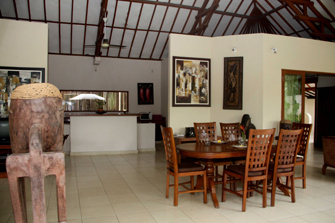 Located in Umalas, cozy and tranquil neighborhood make your stay more secure. 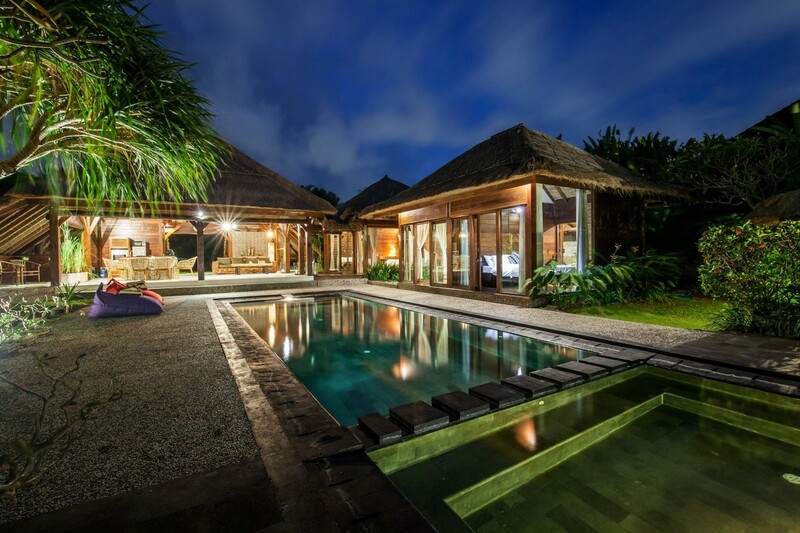 Villa Uma Uma is a top-graded lodging in Bali. 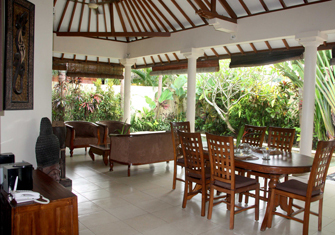 The villa has a private entrance and welcome you thanks to a stunning garden. 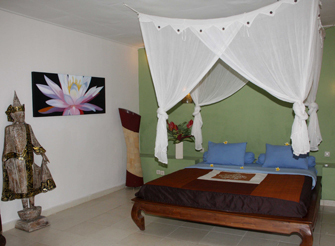 A nice king size bed with set of comfortable sheets and mosquito net are set to enhance your comfort sleep. Balinese painting and decorations embellish each rooms. 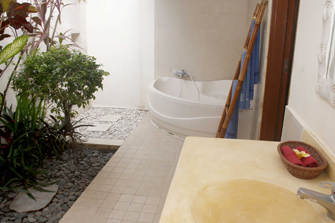 Each room is connected to open air private bathroom completed with bath tub, bamboo towel hanger, rain shower, double sinks and small garden. 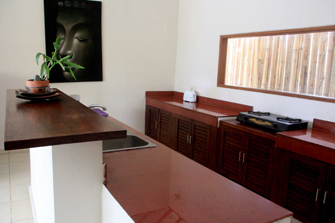 This house for rent includes a fully self-contained kitchen, which can be used either by guest or by our Balinese staff. 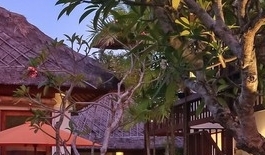 A space for living room is available with TV cable and DVD player and extra seating area by the pool is provided for coffee or tea time or just for reading. The dining area is placed between the two seating area. The staff services are available for daily cleaning, changing bed sheet and preparing breakfast. 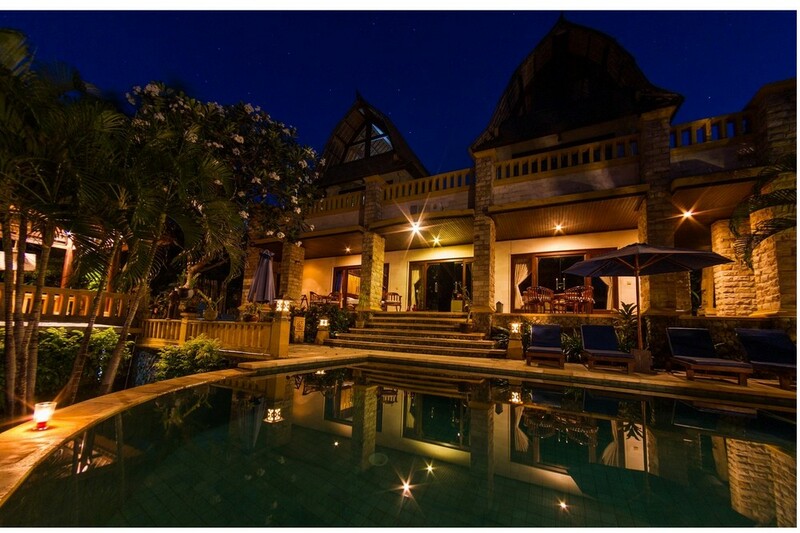 Villa umauma is one of the most affordable villa for your stay in Bali with a private pool. Everything is well organized. 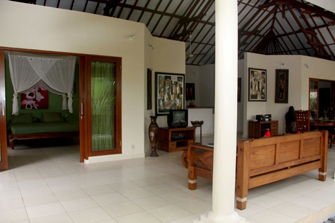 Spacious villa, nice, quiet and well maintained. The staff is very discreet, obliging and kind. Thanks again to Bali Je T'aime. 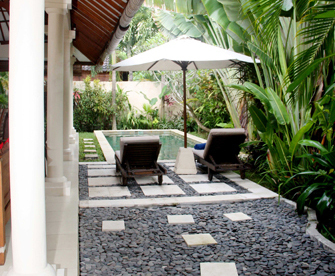 The first time we came to Bali was really impressed by the villa we finally booked through Balijetaime. 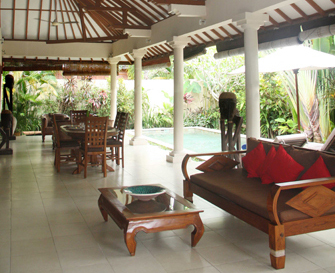 The villa is nice and cozy and the staffs are really helpful. Me and Astrid enjoyed so much the villa and definitely will come back next year.